Find a vacation home to rent in Grasse from our list of vacation rental properties. Campaya has over 16 vacation homes available in Grasse, which give you the possibility to locate a unique accommodation in Grasse which completes your check-list in search for the perfect self catering vacation apartments in Grasse or vacation villas in Grasse. Charming holiday apartment located on the heights of Grasse near the city and shops. Peacefully located on the outskirts of Grasse, this four bedroom holiday home is an excellent base for guests wishing to explore the beautiful French Riviera. On the outskirts of the busy and interesting town of Grasse, this charming property occupies the entire ground floor of a villa, and has its own private swimming pool. This charming holiday home is situated on the edge of the Siagne Canal, within a lovingly restored eighteenth century barn. This beautiful 18th Centuary villa is the perfect setting for a relaxing holiday in the South of France. This comfortable, two bedroom holiday apartment boasts an open-plan kitchen and living area, two bedrooms, one bathroom and a spacious terrace area, which is ideal for sunbathing. This cosy villa is nestled in a tranquil location, amidst a lovely mature garden, complete with charming stone walls, private swimming pool and a pool house. This beautiful holiday home in a quiet area of Grasse offers a covered outdoor terrace, equipped with a pizza oven, overlooking the pool and the pretty garden. 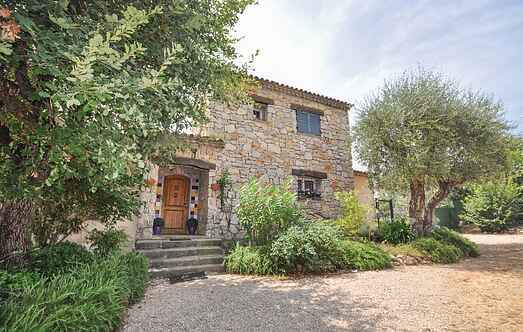 This comfortable four bedroom holiday home is wonderfully situated on the outskirts of Grasse. It boasts a very relaxing garden complete with hammock and decorative statues. Mediterranean, luxury villa with private pool, on beautiful Domaine de Malbosc.